Bradley Ellis is a Florida native that grew up in Jupiter, Florida and currently practices land use and development law in Sarasota, Florida. Bradley completed his undergraduate studies at Florida State University and his legal studies at the University of Florida. Bradley is an Eagle Scout and remains active in the Boy Scouts of America and the Order of Arrow. It is Bradley’s involvement with the Order of the Arrow that started Bradley on his path towards his involvement with the American Hiking Society. 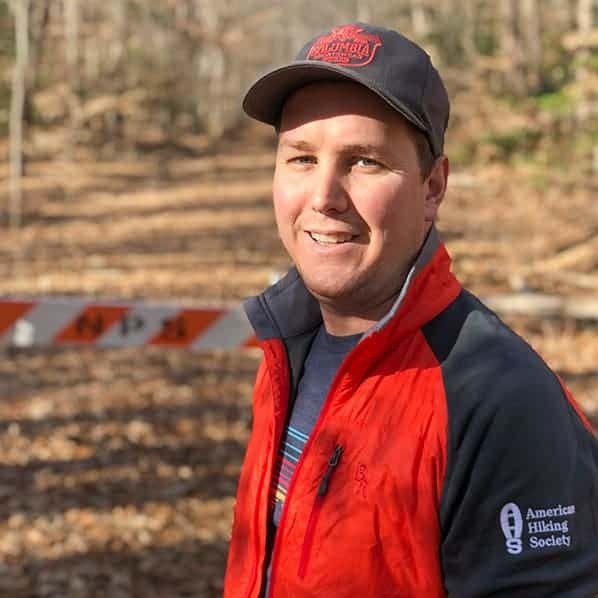 With the Order of the Arrow, Bradley has served as a key staffer on repairing and/or creating trails around the country. In 2001, 2003, 2004, 2005, 2005, 2006, 2007, 2009, 2010, and 2011, Bradley repaired historic portage trails in the Boundary Waters Canoe Area Wilderness in Minnesota. In 2008, his team created the “Arrow Trail” mountain-biking/hiking trail in the Bridger-Teton National Forest in Wyoming. In 2011, his team created the initial portion of the “Arrow Head Trail” in the New River Gorge National Park in West Virginia. Bradley has also built trails in Michigan, Indiana, and of course Florida. Bradley is a key staffer for the Order of the Arrow’s “Arrowman Conservation School” and he hopes to create high synergy between his work with the Order of the Arrow and the America Hiking Society. Sarah’s love of hiking and the outdoors developed at an early age while exploring the Adirondack Mountains, a place she returns as often as possible. Her family’s tradition of “vestigating”, a shared pleasure of meandering new places, hiking new paths, swimming new water holes, and searching for vistas and sunsets is a focal point whenever they carve time together. Time spent in the Adirondacks, Pacific Northwest, Southern California, San Juan Islands, White Mountains and the Shenandoah Valley has fueled Sarah’s wish to spend time on trails and enjoy the peace of wooded areas. Sarah also has a passion for photography and is particularly inspired by blending natural and architectural elements. Sarah joined the Board of Directors of the American Hiking Society in 2016. Sarah has over 30 years fundraising experience in the university and non-profit arena. She currently serves as chief fundraising strategist for the engagement of the president & CEO of the National American Red Cross. Previously, she held several leadership positions at The George Washington University, where she directed school-based fundraising and alumni programs including: annual, reunion, planned giving, endowment and capital campaigns; management of advisory and alumni relations boards; and developing and implementing special campaigns for targeted constituencies. Earlier in her career, Sarah held fundraising positions at the University of Southern California, Wellesley College, and Clark University. Sarah has served as a member of the Gould Academy Board of Trustees; Reunion Giving Chair and Member of the National Committee on Clark’s Future for Clark University; Fundraising Chair for the Highland View Elementary School PTA; Executive VP of the Silver Spring International Middle School PTSA; and Co-Leader for Girl Scout Troop 4274. Sarah holds a BA in Art History from Clark University. She lives with her high school-aged daughter in Silver Spring, MD. Kevin lives and works in the beautiful Laurel Highlands of western Pennsylvania and enjoys the many hiking, camping, backpacking, and kayaking opportunities available in the area. Kevin volunteers with his local outdoors group, Venture Outdoors as a trip leader and as a member of VO’s Trip Leader Council. He has participated in AHS Volunteer Vacations in various parts of the United States and volunteers locally with the Ridge Runners, a trail maintenance group that works in conjunction with the Pennsylvania DCNR, helping to maintain the 70-mile Laurel Highlands Hiking Trail. Jeff is currently Executive Director of the Catskill Center, an organization that works to preserve and protect New York’s Catskill region. Prior to joining the Catskill Center, Jeff worked as the regional trails program manager for the New York-New Jersey Trail Conference. Jeff was an environmental planner for the Maine Land Use Regulation Commission; Massachusetts Aeronautics Commission; and for Waterman Design Associates. 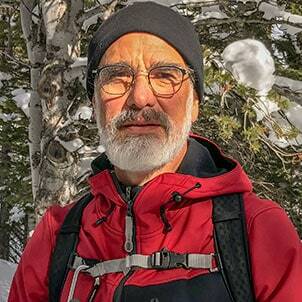 He is an avid hiker and outdoorsman who has hiked extensively in the Catskills, Adirondacks, and New England. Jeff is a long-time volunteer with the New York-New Jersey Trail Conference. He began volunteering with the Trail Conference with his father at age 11 and continued in many capacities throughout the Hudson Valley and Catskills. He holds a BS from Lyndon State College in Vermont, with a concentration in environmental science. Saveria has held management and executive level positions in the film industry and for marketing and creative agencies. Her role as a leader and collaborator developed while working in these roles and with clients including Warner Bros, HBO, Universal, New Line Cinema, The North Face, GEICO, Odwalla, CLIF, Pioneer Electronics, Olloclip, and various state park agencies. This work served as a launchpad for Saveria to start her own consulting business where she specializes in partnership development and strategy collaborating with companies and organizations committed to connecting people to the outdoors, including REI, Transforming Youth Outdoors (TYO), IslandWood, Nature Play Western Australia, The American Hiking Society, and Misadventures Magazine. In addition to her management background and consulting work, Saveria has taught in various capacities for over 20 years, both in the classroom and in the field. Her work with REI’s Outdoor School as an instructor in climbing, navigation, SUP, cycling, hiking, and backpacking, gave Saveria the opportunity to combine her love of teaching and the outdoors. Saveria also channels these passions into giving back to her community for the American Hiking Society, as a Sierra Club trip leader and instructor for the Wilderness Travel Course, and for Camber Outdoors as their regional event manager. Saveria lives in Pasadena, CA with her husband and two fur babies. Jack joined the board in 2015 and has enjoyment in hiking and backpacking since his time as a Boy Scout and Explorer Scout as a youth in State College, PA. He still serves the Boy Scouts at both the local council and the national levels. He has hiked a good bit of the Appalachian Trail, been on many backpacking trips in the Colorado wilderness and hiked many of the mountain ranges in Nevada. This year (2015) he and his wife have taken the challenge to hike 100 miles in Rocky Mountain National Park in celebration of the park’s 100th anniversary. Recently, after 13 years of service, Jack stepped down as the Executive Director of the Geological Society of America. Before coming to GSA in 2001 Jack work for the Desert Research Institute in Nevada and then spent 18 months working for Senator Harry Reid (D-NV) working on nuclear waste and water issues. He has served on a number of boards including the National Cave and Karst Research Institute, Karst Waters Institute (Chair), Association of Earth Science Editors, Longs Peak Council Boy Scouts of America (President elect), Renewable Natural Resources Foundation, and Colorado Society of Association Executives. Additionally, Jack serves on the US National Commission for UNESCO and the US National Committee for Geological Sciences. For many years, Dennis has volunteered to build, maintain and promote foot trails at the local, state and regional levels. Through these experiences, he has been engaged in AHS programs such as National Trails Day, Volunteer Vacations and Alternative Spring Breaks. 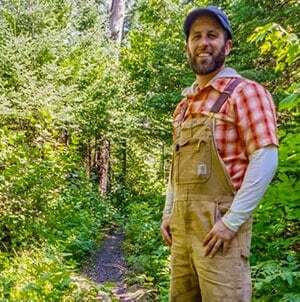 In his own community, he has worked on trails, led hikes in local parks, and promoted hiking at local events. He met his wife, Julie, hiking with the KISHAW hiking club on a group hike in Kentucky’s Red River Gorge. At the state level, in Kentucky, he has served on boards of Sheltowee Trace Association and Pine Mountain Trail Conference. 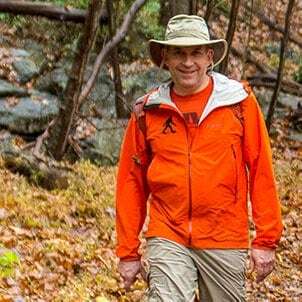 For several years, he has worked with Kentucky Tourism Cabinet’s Adventure Tourism as the representative for hiking and backpacking on the Kentucky Recreational Trails Authority. On the regional level, Dennis has worked on trail relocations on Appalachian Trail Conservancy’s Konnarock and Mid-Atlantic trail crews. He participated in Cumberland Trail Conference trail building crews in Tennessee for several years. He was involved in planning what was to become the Southeastern Foot Trails Coalition (SEFTC), a joint project of American Hiking Society and National Parks Service RTCA. From this coalition, the Great Eastern Trail Association (GETA)was formed. Dennis has served on the GETA board for several years. He was also the first president of SEFTC. Dennis is retired from Michelin where he worked as a chemical engineer. He joined the board of American Hiking Society in April 2016. Dennis makes frequent hiking trips to Acadia National Park in Maine with his wife and their Labrador retriever, Teddy. 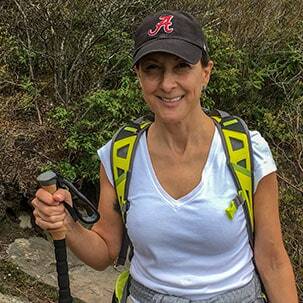 Devoted to the outdoors and committed to the protection of open space, Jane’s hiking accomplishments include climbing the 46 high peaks in the Adirondacks and section hiking the 2175-mile Appalachian Trail. She and her husband are authors of two editions of Walkable Westchester, a guide to over 600 miles of trails and 200 parks in suburban New York City. Jane is a retired reference librarian. She served on the Trail Conference board from 1990-2011, including six years as board chair and on the Appalachian Trail Conservancy (ATC) board from 1993-1999. In 2007, she chaired a committee hosting the Appalachian Trail Conservancy’s 36th Biennial Conference, an eight-day event with over 850 attendees and 376 volunteers. Having built and managed trails, she understands trail issues from the shovel to the board room. In April 2013, she was named NY Trail Worker of the Year by American Trails. 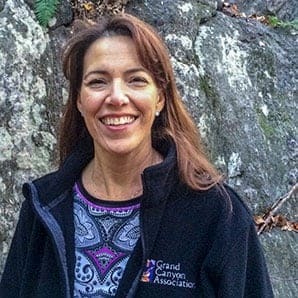 Jane is the president of NY State Trails Council, on the board of the Hudson Greenway Conservancy, the president of the Friends of FDR State Park and on the board of the American Hiking Society. Kathleen has served on the AHS board since October 2013. She met the AHS board of directors at their Spring 2013 meeting in Phoenix Arizona where she led the group on a hike up the Peralta Trail in the Superstition Mountains. In 2005, Kathleen started and continues to lead a small hiking club on monthly adventures in and around Arizona. “We have a strict rule in the CVL Hike Club, NO work talk in nature!” As Director of Business Development, Kathleen is responsible for creating strategic partnerships that will ultimately lead to mutually beneficial outcomes for all parties. The Hike Club acts as a way to bridge the gap between work and play. A majority of the hikers are clients and employees and she finds there is no better way to forge a relationship than in nature. There is no pretense or barriers when we are on the trail. Kathleen was born and raised in central New Jersey. Hiking every Sunday after dinner with her grandmother along the Raritan River, became a way to connect with nature. As she became older, the trails became more challenging and the adventures drew her out west to Arizona. “I found myself always coming back to Arizona to hike and camp on vacation, why only come on vacation, I should move to Arizona and hike every day.” Kathleen met her husband David on a Grand Canyon rafting trip in 2001. He was the trip leader and she was the ecological interpretive guide on that trip, the rest, as they say, is history! They married at the rim of the Grand Canyon in 2010 surrounded by the beauty of the place that they both deem the most magical place on earth. When not working or hiking, Kathleen can be found with her husband David and daughter Kylee either camping, rafting or behind her tripod photographing. She is a published photographer with work gracing the covers of American Trails magazine and a feature in the AZ Highways blog spot. Kathleen holds a degree from Rutgers University in Environmental Health Science/Marketing and an MBA from Grand Canyon University. Anywhere in the Grand Canyon. 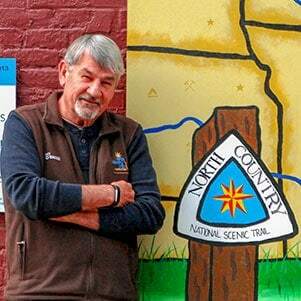 In August 2017 Bruce Matthews retired after ten years as Executive Director of the North Country Trail Association, the volunteer organization that builds, maintains and tells the story of America’s longest National Scenic Trail. Previously Matthews was the founding president of the non-profit Recreational Boating and Fishing Foundation (RBFF), best known for its national Take Me Fishing advertising campaign, National Fishing and Boating Week and Angler’s Legacy mentoring program. Matthews started RBFF in 1999, after a stint as Information and Education Chief for the Michigan Department of Natural Resources. Matthews has served on the faculty at Cornell University and S.U.N.Y Cortland, where he directed the Adirondack Winter Studies program and started the New York 4-H Sportfishing Program. He has been a licensed New York State Guide and US Coast Guard licensed captain. As a member of the Outdoor Writers Association of America, Matthews’ articles have won awards and appeared in many outdoor magazines. Matthews released his first CD, “So Far…” in 2014, with a followup CD, “Roll Your Windows Down!” in January 2018. Composed of original songs in the Americana roots tradition, his songs celebrate the outdoors, redemption and his relationship with the Creator. Matthews has served on the worship leadership teams at Ada Bible Church since 2008 and leads men’s small groups. American Hiking Society partners with notable hikers, community leaders, and activists to promote the benefits of hiking and to inspire more Americans to explore the great outdoors. She was so inspired she felt she had to share this newly discovered adventure with others. To prepare herself, she became a certified outings leader through the Sierra Club, was trained in wilderness first aid through the NOLS Wilderness Medical Institute, became a Certified National Interpretive Guide, and selected as a community partner with REI and the Georgia Conservancy. She also works with the National Park Service in their Trails and Rails volunteer program. As a result of inspiring others through her online monthly newsletter, she has expanded her influential voice to several thousand followers of her web-based Meetup adventure groups and is a leading voice for seniors, encouraging them to get outside and try new things. Carolyn also has a love for senior Olympic sports, earning medals in various state, national and world competitions. In 2016 Carolyn represented AARP when she was recognized with a ‘Positive Aging Image Award’ from the Georgia Institute on Aging. She has been featured on the CNN/HLN Accent Health Network for her healthy hiking adventures, and in various other media. Carolyn is currently working on her new book, ‘The Joy of Aging’ expected to be released in Spring 2017. Writer and photographer Michael Lanza is the creator of The Big Outside, where he blogs about his outdoor adventures, including many with his wife and children. The Big Outside has made numerous top blog lists, including USA Today’s Readers Choice list of Top 10 Hiking and Outdoors Bloggers in 2014. A primary goal of Michael’s blog is to inspire and inform other parents to take their own kids on outdoor adventures—and help other families to discover the powerful emotional payoff and bond achieved through sharing outdoors experiences. That’s one of the reasons he is excited to be an ambassador for AHS. Michael was the Northwest Editor of Backpacker magazine for 11 years and continues to write for the magazine. His book Before They're Gone—A Family's Year-Long Quest to Explore America's Most Endangered National Parks, winner of a National Outdoor Book Award honorable mention, chronicles his wilderness adventures with his wife and their young son and daughter in national parks threatened by climate change. An avid backpacker, climber, backcountry skier, and cyclist, he has hiked and climbed extensively in the U.S. West and Northeast and published stories in numerous magazines about adventure travels on four continents. 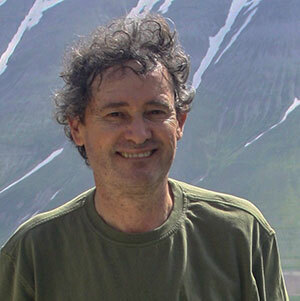 His articles about global warming helped Backpacker earn a National Magazine Award for general excellence in 2008. He was previously a magazine editor, co-hosted a call-in radio program on New Hampshire Public Radio, and syndicated a weekly outdoor column in about two dozen New England newspapers. 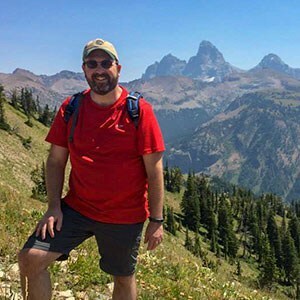 Michael lives with his wife and their two teenagers in Boise, Idaho, where they frequently get out on local trails and explore Idaho’s mountains and rivers. Bob and Martha Manning are accomplished hikers and authors who write and speak about their outdoor adventures. They discovered the national parks shortly after they were married, honeymooning at Cape Cod National Seashore. They lived in California for several years, hiking and backpacking in Yosemite and many other western national parks. After graduate school, Bob became a professor at the University of Vermont, teaching and studying the history, philosophy, and management of national parks. His program of research for the National Park Service allowed him and Martha to visit and hike in national parks throughout the nation, including spending four year-long sabbaticals at Grand Canyon National Park, Yosemite National Park, Golden Gate National Recreation Area, and the Washington, DC headquarters. Martha uses these adventures as inspiration for her work as an artist. While living in Vermont, they hiked the state’s 272-mile Long Trail, the first long-distance trail in the US. And then they were hooked! They’ve hiked dozens of long-distance trails on six continents and have written two books about these walks. The first, Walking Distance: Extraordinary Hikes for Ordinary People, offers first-hand descriptions of 30 long-distance trails throughout the world. Their second book, Walks of a Lifetime: Extraordinary Hikes from Around the World, offers first-hand descriptions of 30 more long-distance trails and multi-day hikes, interspersed with short essays on many dimensions of hiking. Both books are designed to encourage readers to walk more in their everyday lives and to try long-distance walking. Bob and Martha are invited speakers at many venues, including the International Trails Symposium, the Walkabout International Conference, and many hiking and conservation organizations. The Mannings have a long association with American Hiking Society. Bob served on the Board of Directors and is a life member, and they are especially pleased to be named AHS Ambassadors. The Mannings take this position seriously, encouraging people to “walk the talk” and reap the many benefits of hiking. See where the Manning’s have hiked on their website, www.extraordinaryhikes.com. Jennifer Pharr Davis is a hiker, author, adventure speaker, and 2012 National Geographic Adventurer of the Year. 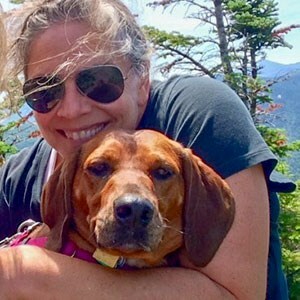 She is the founder and owner of Blue Ridge Hiking Company, an Asheville, NC-based guiding service that strives “to make the wilderness accessible and enjoyable” for hikers of all ages, genders, and ability levels. Jennifer has covered over 14,000 miles of long distance trails on six different continents. In 2011, she completed the 2,181-mile Appalachian Trail in forty-six days, eleven hours, and twenty minutes, maintaining a remarkable average of forty-seven miles per day. 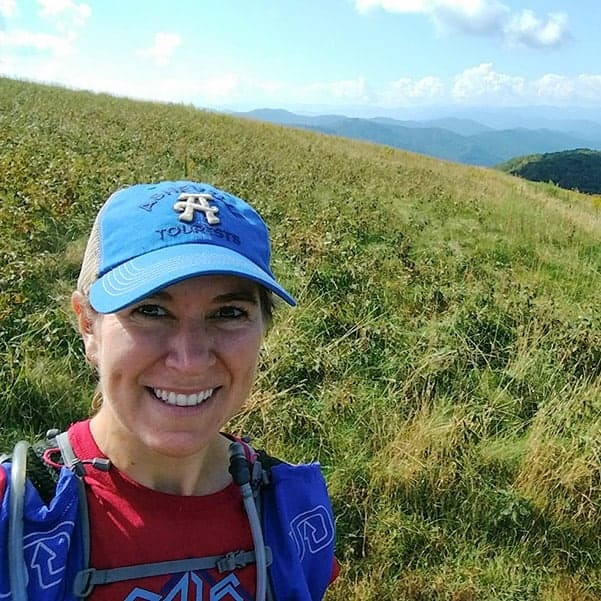 As someone who thru-hiked the Appalachian Trail as a twenty-one-year-old, completed the Colorado Trail as a newlywed, traversed the Spanish Pyrenees as an expectant mother, has hiked in all fifty states with her husband and two year old daughter, and who is currently section-hiking the Continental Divide Trail, Jennifer truly embodies her belief that “the trail is there for everyone at every phase of life.” She is thrilled to be an Ambassador for the American Hiking Society, and she looks forward to championing AHS initiatives as she continues her speaking and writing career. 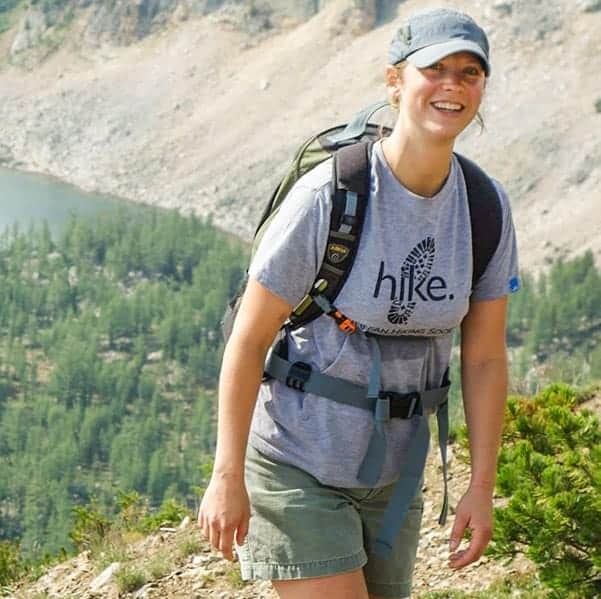 Kate joined American Hiking in 2017. She brings a wealth of advocacy experience from the ONE Campaign, where she was a Policy Director, setting policy and strategic direction for ONE in the areas of agricultural development, hunger and nutrition, climate change, energy poverty, women and girls, trade, and development in fragile states. Prior to ONE, Kate served as Chief of Staff and Senior Policy Advisor in Secretary Clinton’s Office of Global Food Security, helping to lead the Obama Administration’s flagship global hunger initiative, Feed the Future. Kate joined the State Department initially under a fellowship with the American Association for the Advancement of Science and focused on the intersection of emergency humanitarian aid and terrorism and hunger-related United Nations negotiations. She started her career as a planetary and glacial geologist, participating in several NASA Mars missions and working with the International Space Science Institute in Bern, Switzerland, the University of Copenhagen’s Neils Bohr Institute, and the Smithsonian Center for Earth and Planetary Studies. She earned her Ph.D. in Geological Sciences from Brown University in 2004. Kate hails from Montana, where she developed a deep passion for spending as much time outdoors as possible. She and her equally outdoorsy husband and daughter live in Silver Spring, MD. Libby joined American Hiking in 2009. She holds a B.A. degree in Marketing from James Madison University. Prior to joining AHS, she worked for 6 years with a consulting firm as a recruiter and marketing specialist. A Navy upbringing has instilled a love of travel in her and she enjoys discovering new cities and landscapes and the cultures that they represent. Participating in her first “Volunteer Vacation” in college 15 years ago sparked a passion for traveling with a purpose. Since then she has participated in dozens of stewardship trips across the US. 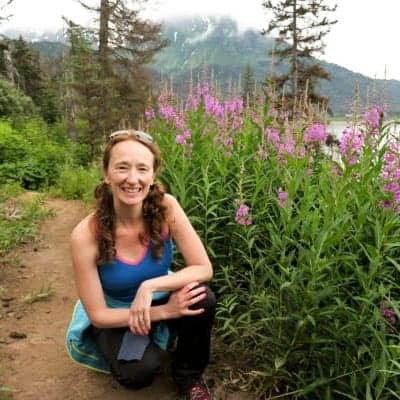 Libby is an experienced and seasoned outdoor recreation group leader, leading volunteer crews with American Hiking since 2010 and providing city running tours to visitors and locals alike. Moving to Asheville for the mountains (and great beer!) she takes advantage of any opportunity to hike, run, and explore Western North Carolina. Libby is ecstatic to be putting her passion for nature and outdoor recreation to good use in her role at American Hiking. Kim joined AHS in 2014. As a Canadian that grew up in the Rocky Mountains, family vacations had one requirement, hiking. That passion for getting outside has remained a vital component of her work and play. Kim tries to explore trails around every place she lives or visits, from Washington State to Washington, DC to Arizona to Vermont – and a few spots in between. Currently, Kim spends her free time exploring family-friendly trails in Minnesota with her husband and two kids. Kim holds her B.A. in Humanities with a focus on political and social change and has worked as a professional fundraiser for over 12 years. Tyler joined American Hiking in 2018, after nearly seven years with the American Civil Liberties Union (ACLU) where he led federal advocacy efforts on voting rights, disability rights, and humane border enforcement. He earned his Juris Doctorate and Certificate in Public Policy from The Catholic University of America, Columbus School of Law and is licensed to practice in the Commonwealth of Virginia. He obtained a B.A. degree in Social Science from San Diego State University. As a native Californian, Tyler began hiking in the foothills of the Sierra Nevada’s and the Stanislaus National Forest. He’s been fortunate to experience trails across the country, with favorites including the Hanakapiai Trail in Kauai, the Grand Canyon’s Bright Angel Trail, and state park and national forest trails throughout his adoptive home in Virginia. When not hiking the hill advocating on behalf of AHS members, Tyler spends time with his dog, Kona, and partner looking for their next outdoor adventure. Josh joined American Hiking Society in 2019. He holds a Bachelor's of Science Degree in Business Administration, with a specialization in Accounting, from the University of Nebraska and an MBA from Southeast Missouri State University. He comes to AHS with fifteen years of experience in corporate tax and accounting roles. Josh is a "numbers guy" and enjoys helping others make sense of their numbers. He volunteers with a nonprofit that provides character development, job readiness, and entrepreneurship tools to incarcerated individuals and those with criminal histories in the community. He has facilitated financial literacy classes to help incarcerated individuals learn the meaning behind the numbers of a business. For those in the community with criminal histories, Josh provides coaching and mentoring to help them reach their financial and business goals. When not working or volunteering, you can be sure to find Josh traveling with his family, participating in outdoor adventures (hiking, camping, caving, canyoning, etc. ), or spending time with his furry four-legged crew. Outside Magazine called Wesley "the most inspiring man on the PCT" after he completed the trail despite his mild form of cerebral palsy. 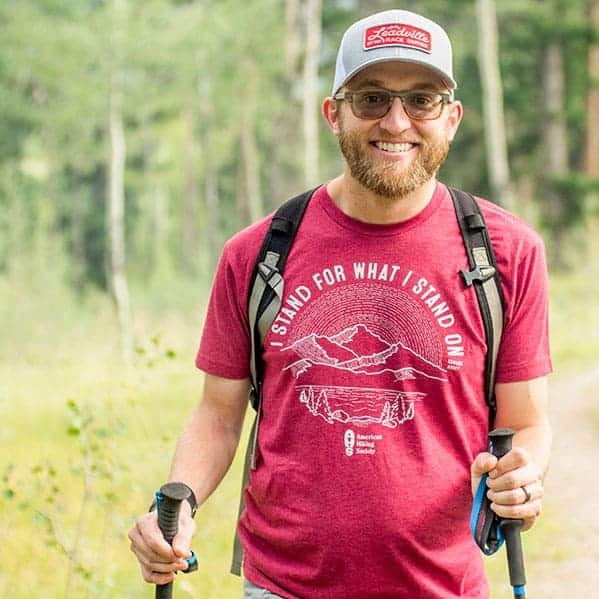 Beyond the PCT, Wesley has thru-hiked the Colorado Trail, climbed all 54 of Colorado's 14,000-foot peaks, and finished several ultramarathon trail races. Not all of Wesley's time on the trail is spent recreating; he believes it's his duty as an outdoor enthusiast to give back and steward the places he loves. While earning a Bachelors in Environmental Design from the University of Colorado, Wesley spent four seasons building and maintaining trails with Rocky Mountain Youth Corps. Wesley's favorite projects include building and maintaining the Continental Divide Trail in Colorado and Wyoming. Through design and videography, Wesley enjoys educating people about the importance of outdoor stewardship. 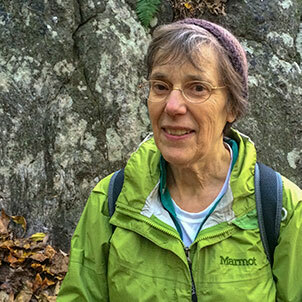 Mary Chandler joined American Hiking in 2019. She holds a degree from The University of Virginia, where she was an English Major and an Italian Studies minor. Prior to joining AHS, she was a longtime volunteer and intern with Girls on the Run and worked for non-profits in the Charlottesville and DC areas. Mary Chandler’s love of the outdoors began at a very early age. Her first vacation was at three months old when she traveled to her grandparents’ cabin on the Hiwassee in the Cherokee National Forest and hiked the John Muir Trail with her family. Since then, she has hiked trails as close by as her native Virginia, and as far away as Hawaii and Italy, where she spent her junior year studying in the town of Siena. Her favorite hikes remain in and around Reliance, Tennessee, where her family still travels every year. Mary Chandler is looking forward to putting her experience and interests into her position at American Hiking. American Hiking Society is the only national organization dedicated to promoting and protecting America’s hiking trails, the natural areas that surround them, and the hiking experience. We provide an exciting, creative, and professional yet relaxed non-profit atmosphere with a strong outdoor and conservation ethic. American Hiking Society is easily accessible by Metro (Red Line, Silver Spring) and offers generous benefits including full health coverage, discounts on outdoor gear, and generous vacation leave (for full-time employees). Interested in joining our dynamic team? Any jobs or internships that may be available are described below.